This RADIOLA! is dedicated to all drones of both the six-legged and the two-legged varieties. RADIOLA! streams continuously from my Live365 station. The RADIOLA! podcast may be found here. The host of RADIOLA! 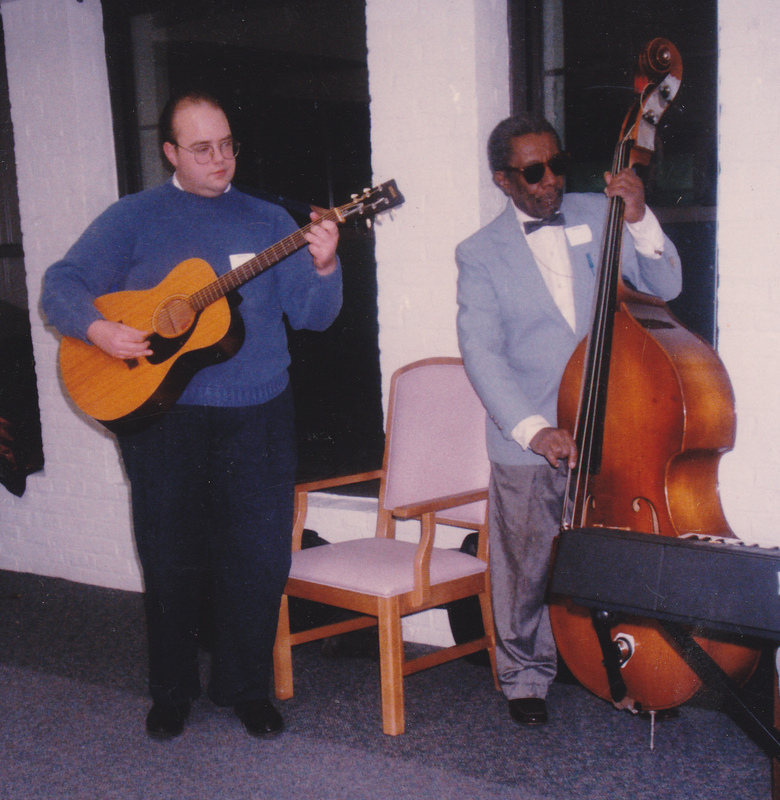 with bassist Sam Burrell in 1996. This RADIOLA! acknowledges the solstice and remembers our friend and fellow musician Sam Burrell who died last week. This RADIOLA! recognizes those who are somehow related to us with a nod toward Father (whoever he may be). This RADIOLA! celebrates the sixth anniversary of the first broadcast (June 10, 2005) with a bumper crop of 15000-series Vocalions, with many more to come. I want to thank all those listeners who have sent their kind words and constructive comments over the past six years--and even those who haven't. This RADIOLA! must concede that since it is produced at the expense of the host it is essentially a "vanity" program. So be it!